When drift happens (and it almost always does), farmers lose. Their crops are damaged, often severely. And in this case, a 1,000-acre application of 2,4-D on pastureland on a hot, windy day in June released the chemical onto its down-state journey, damaging 15,000 acres of cotton and a young pomegranate orchard along the way. If the U.S. Department of Agriculture (USDA) approves Dow Chemical’s suite of 2,4-D crops, we can expect a massive increase in the use of this hazardous chemical and more drift incidents are sure to follow. 2,4-D is an extremely effective plant-killer: It can destroy grapes, almonds, and just about any fruit, nut, timber, or vegetable crop that it comes in contact with. And while you’ll hear about this kind of terrible destruction in the farm press, you won’t hear about the long-term damage it’s causing to our own and our children’s health. How much of that 2,4-D drifting across the Central Valley settled on play structures, parks, schoolyards, and clothes drying on the line on the hot summer day? This invisible threat puts us all at risk. • Our kids are at risk. More than 70 doctors and public health scientists wrote to the Environmental Protection Agency in late June, urging the agency to reject Dow’s application for “new uses” of 2,4-D, citing fears of lasting harm to public health. 2,4-D causes birth defects, neurological damage, and lowered sperm counts. The chemical has been linked to various kinds of cancer including non-Hodgkins lymphoma and it disrupts hormone and reproductive function. 2,4-D is easily blown or tracked into homes; it sticks to carpets and house dust and ends up on children’s hands and in their bodies. Kids are particularly susceptible to its effects because their bodies aren’t as equipped to shed toxins as adults’ are. • Farmers are at risk. Dow’s plan to market its genetically engineered (GE) 2,4-D-resistant crops across the country as a solution to “super weeds” that are resistant to RoundUp is a monstrously bad idea. Ultimately, it’s just a way for the company to keep pesticide sales up, and it does so at the expense of the health and well-being of the farmers, workers, and children who will be exposed. If USDA approves Dow’s suite of 2,4-D crops—ignoring the public outcry—we can expect a massive increase in the use of this hazardous chemical. Experts estimate that 2,4-D use in corn may rise 30-fold, from 3 to 4 million pounds today to more than 100 million pounds over the next decade. GE 2,4-D soybeans and cotton, if approved, would boost usage still more. With few options available, many farmers may be persuaded—or forced by lack of alternatives in the seed marketplace—to plant 2,4-D corn, cotton, and soy. As 2,4-D usage soars throughout the summer, we’ll be seeing more and more cases of drift and crop damage like the one in the Central Valley. This will be disastrous for growers of highly vulnerable crops like grapes and almonds, among other fruits, nuts, and vegetables. There’s no doubt about it: When Big 6 companies like Dow and Monsanto win, farmers lose. Communities lose. Our kids lose. The good news is that farmers, farmworkers, doctors and nurses, and ordinary people who don’t want a cloud of poison drifting overhead are coming together like never before to say enough is enough. Visit our 2,4-D campaign page for more information, including actions and news as it arises. 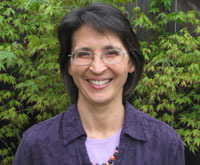 Marcia Ishii-Eiteman is a senior scientist and director of the Sustainable Food Systems Program at PAN. Before joining PAN in 1996, Marcia worked in Asia and Africa for 14 years. She developed farmer field schools in ecological pest management, sustainable agriculture, and community-based rural development projects in Southeast Asia, and women’s health, literacy, and resource conservation projects on the Thai-Cambodian and Somali-Ethiopian borders. 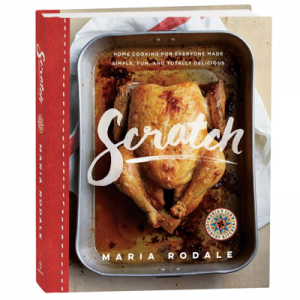 Marcia holds a PhD in Ecology and Evolutionary Biology from Cornell University and a B.A. in Women’s Studies from Yale University. 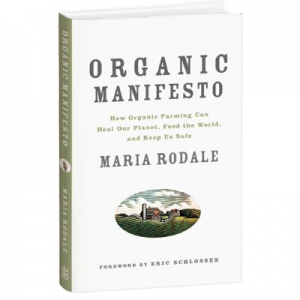 She has written extensively on the ecological, social, and political dimensions of food and agriculture and was a lead author of the UN-sponsored International Assessment of Agricultural Knowledge, Science and Technology for Development. Drift is not only bad for people and crops, but also for livelihoods – in our case, for certified organic farmers. In Minnesota (and many other states) if an air-borne pesticide is sprayed and “infests” the organically certified fields, that farmer can lose certification and have to wait up to three years to recertify, losing income in the process. There is NO recourse, except to post warnings about spraying, which may or may not be heeded by those who spray. 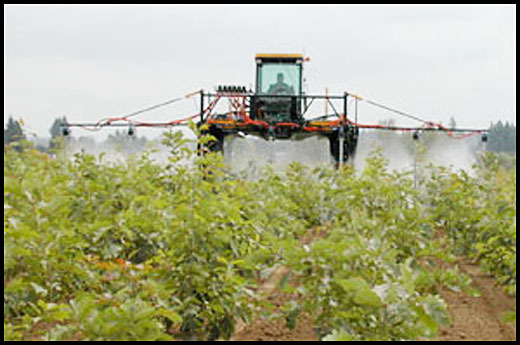 Those who spray are NOT liable for the damage they may cause; instead, the organically certified farmer is responsible for keeping the spray off of the organic crops, e.g. by planting further away from the sprayed crops and using less of his or her land, which also adds up to lost income. Unfair? I’d say so. And now there are super poisons being developed as a response to the earlier, “milder” poisons? We have huge dust storms and Arizona so I’m not naive to the fact that my yard (and home) is getting all sorts of pesticides and toxins dumped on it. Great post. This very thing has given me Pulmonary Fibrosis which will shorten my life considerably. My sons are 23 and 28 and I wanted to share more of life with them. But due to ……………….that’s because I can’t say what I REALLY think of it, I only have a few more years to live.